We were grouped with Bradford City, Fleetwood and Morecambe with the first game played against Fleetwood at home which ended 3-3 at Gawthorpe. Cameron Dummigan got the opener that day with Ntumba Massanka bagging two, one of them from the penalty spot. We won 4-1 at Bradford. Jamie Frost got the first and, after an own goal, there were two from Khius Metz. Fleetwood, like us, have four points from two games, Bradford have three and Morecambe are still to pick up a point. Only the group winners go through to a knock out semi-final and realistically we are in need of Bradford getting a result against Fleetwood when they meet next month. Our goal difference, as can be seen from the two results above, is plus 3 but Fleetwood beat Morecambe 9-0 when they met so we will need to win today and for them to drop at least a point in their last game. We've no team news as yet but coach Michael Jolley hinted there would be changes. We do appear to have a squad hit by injuries. Nothing has been reported but Nathan Lowe has been on crutches, Christian Hill hasn't played all season, Daniel Agyei hasn't played since coming off injured in the win against Wigan in the Under-21 Premier League Cup and Luke Hendrie has returned from a loan at Hartlepool with ruptured ankle ligaments. 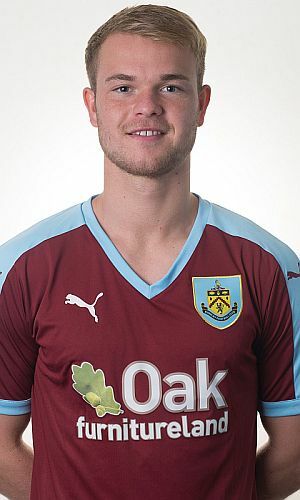 Cameron Dummigan is out on loan at Oldham, although in any case is away on international duty with Northern Ireland, as is goalkeeper Conor Mitchell. Danijel Nizic was on the bench on Monday but with him set for his first Crewe start this weekend I wouldn't expect him to play today. Brad Jackson was also missing from Monday's squad. Today's game is being played at Gawthorpe with a 12 noon kick off.